In the world of search engine optimization, there are several different SEO myths floating around the mystical webisphere. From the rumors that throwing in a few keywords is all it takes for content to go viral to the ever-popular “Google is smart and magical” statement, there are (unfortunately) several misconceptions people still actually believe about SEO. Urban legends shared between bloggers make it challenging to know exactly what’s true, what’s false, and most importantly, what works! Recognizing these common SEO myths is the first step towards mastering your DIY search engine optimization skills and becoming a bangin’ blogger! When search engine optimization is done right, it helps readers organically and easily find your content online. With over 40,000 Google searches happening every single second (holy guacamole that’s a lot! ), it’s clear that searchers WANT answers. Of course, this also means there’s a whole lot of content out there for you to compete with. Bloggers who implement awesome SEO improve their chances of grabbing Google’s attention and increasing website traffic. 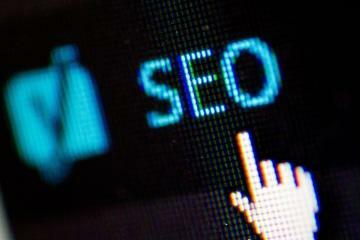 But there are a lot of misconceptions out there about what SEO can and cannot do for YOU. We understand this whole SEO thing is tricky and deciphering fact from fiction is no easy task. We appreciate the harmless myths… like avoiding all cracks so you don’t break your mama’s back or writing letters to the big jolly man who lives in the North Pole with his reindeer and elves (hope we didn’t just pop anyone’s bubble!). The main difference here is that believing in SEO myths will do far more damage to your blog than writing a letter to Santa Claus. At Posts by Ghost, we’re a team of experienced content creators who understand and appreciate the value SEO offers. We know what optimization practices work and what’s a total waste of your time. Falling for these five SEO myths could be why you’re not seeing traffic results on your website or blog. So check yourself before you wreck yourself—do you currently find yourself believing in ANY of these mythical SEO statements? Okay here’s the deal; I hate to break it to you, but bloggers must let go of this SEO myth. The truth is unless you’re Martha Stewart or the Barefoot Contessa, the chances you’ll rank #1 on Google for chocolate chip cookie recipe or best Thanksgiving turkey are…very, very slim. Kind of a bummer, right? Well, not really, but it does mean you need to adjust your expectations a little. Several factors such as Google Ads and Google’s algorithm impact the way content is ranked and sorted by search engines; some of this is of course, completely out of a blogger’s control. First, remember, when you don’t land on page 1 for “turkey,” there’s a lot of authoritative competition out there, and search favors authority. Search also favors specifics, so you could possibly rank high for “maple-glazed turkey with sage stuffing.” (Provided anyone searches that term—your recipe will be the perfect fit!) Ranking on the first page of Google, although TOTALLY possible, takes more work and strategy than simply adding in keywords, meta descriptions, and alt image tags. You need to get specific and be realistic. So yes, the SEO myth that doing any type of SEO will bring you straight to the top isn’t accurate. Rome was not built in a day, people! Quality SEO takes time and there are some keywords where the competition is just too fierce to ever rank. Optimizing your blog posts, while awesome and effective, will not push every post to the top (even Martha Stewart’s posts don’t rank #1 for every term). Keep these insights in mind and your expectations in check when beginning your SEO journey. We give this SEO myth a big fat NOPE (cue the sad trombone wah, wah, wah, waah sound effect). Listen up, we love SEO as much as the next person—okay, maybe even more—but it’s not a trick or hack. It can’t turn your stinky flipflop content into a sparkly glass slipper. Search engine optimization is powerful, but it’s simply a tool. It works if you work it. It’s an ongoing process and even the most effective SEO doesn’t offer up results instantly. Google Webmasters have said it can take up to 4 to 12 months to show results. SEO at its best can’t fix content that isn’t authoritative, well written, and geared toward your target audience. SEO isn’t a set of tricks. Really the only type of magic in the blogging world is within YOU (cue cheesy music). Create innovative long-form content your readers will appreciate. Implement best practices and keep the backend of your website up-to-date and in order. Consistently implement SEO in each and every post to make the real “magic” happen. Just like the best fairytale endings, YOU are your own Fairy Godmother. SEO alone is not enough to take you over the top. A skilled, smart, and savvy content creator knows it takes hard work, resilience, and bravery. Who needs a unicorn when you can be your own hero?! Hold the phone! To quote one of the greatest musical groups of all time, ABBA, “Money, money, money / Must be funny.” If ANYONE ever tries to charge you for their “Google indexing services” be sure to only pay them in Monopoly money! This SEO myth is totally full of bologna! Indexing your site is a vital part of improving your blog’s traffic BUT this is a free tool offered to everyone by Google. Any company charging you for indexing is running a scam and ripping you off. The good news is, you don’t need those shady peeps anyway because learning how to index your own blog is simple. With tons of articles and information available online, educating yourself on the process and importance of indexing your site has never been easier. Now, prompting Google to crawl your site is like tapping someone on the shoulder and saying, “Hey you! Pay attention to me!” Yes, indexing IS important, but the SEO myth at work here is the idea that you need to pay for it. Neil Patel says it best, “Indexation is essential for establishing rankings, attracting traffic, and reaching your goals for your site.” Remember, you can accomplish all this awesome stuff without paying a dime! A study conducted by BRIGHTEDGE found that 65% of all website traffic derives from search alone. 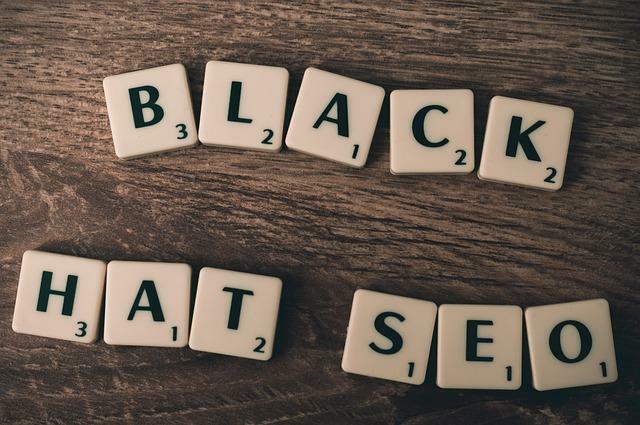 “Organic search remains the dominant source of trackable web traffic and in a nearly unassailably dominant position as a channel.” So SEO, including indexing, is crucial for a bloggers success. Are you ready for this? 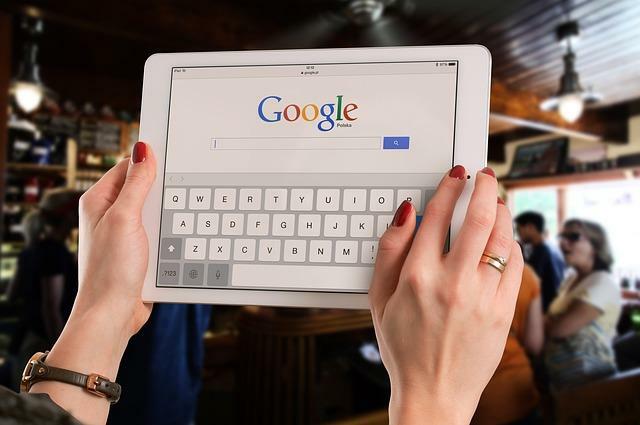 In a recent artificial IQ intelligence test conducted around Google, Siri, and Bing, the search engine with the highest score was (drum roll please) GOOGLE! But wait… Ready for the shocker? Google’s score came out to a 47.3… Just to help you measure, the average 18-year-old has an IQ of 97, and it’s estimated that Google would be on the same level as the average 6-year-old. So basically, Google is not as smart as you think. In the human world, Google is in the first grade. Google is actively still learning skills like reading comprehension, basic math, and playing nicely with peers. Yet, this is the search engine we constantly rely on to operate correctly and efficiently 100 percent of the time. Want to know something? We simply Google it, right? The point is, contrary to popular belief, Google isn’t a genius and is certainly still learning. As a search engine, Google operates extremely quickly and is constantly changing and growing to help it become “smarter” and more intuitive. There are an estimated 500-600 algorithm changes happening every year as programmers help boost the search engine’s efficiency. Hundreds of ranking factors are considered when sorting through websites and content. While Google’s smart (and learning more every day), it’s certainly not getting accepted into Mensa any time soon. SEO myths like this one hurt bloggers who assume Google is intelligent enough to search, find, and recognize a good piece of content or website right away. The actual genius is (you guessed it) YOU! Your savvy SEO skills and killer content creation techniques are what really matters here. The success of your blog is in your hands, Google is simply there to lend a helping hand. Ouch, this one hurts a little. As a content marketing company specializing SEO, we’re going to go ahead and give this one a big, fat thumbs down. Anyone who tells you SEO is a total waste of your time is either: one, not doing it right, or two, not well informed on the power of effective SEO practices! It’s SEO myths like this one actively holding bloggers and businesses back from truly reaching their full potential with search engines. SEO is an effective and proven way to get users to easily find your content online. Sure, sometimes certain tactics work and other times they don’t, but this in no way, shape, or form means SEO is a “total waste of time” (sigh). You should know, there are so many different success stories of companies and bloggers who implemented SEO to change the course of their careers out there. Had any of these individuals listened to SEO myths, they would not have succeeded at greatly improving the overall quality of their sites and Google rankings. One case study in particular reported by Search Engine Land was able to strategically use SEO to increase search traffic from zero to 100,000 visitors over the course of only 12 months. Now, this was a special experiment conducted by web professionals, so we’re not saying gaining thousands of followers is easy; BUT, this case study proved the positive effect SEO can have for blogs and websites. Andrew Dennis from Search Engine Land said, “More visitors on your site means more impressions, more signups, more purchases — more revenue.” SEO is not a total waste of time, I repeat, SEO is not a total waste of time. Quality SEO improves business, search traffic and has the potential to increase your earnings! Don’t fall into the traps of these ridiculous SEO myths. If you find yourself struggling with your own site, consider an SEO audit with us today! 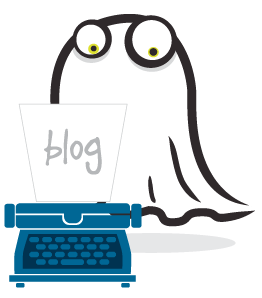 At Posts By Ghost, we eat, sleep, and breathe all things SEO. We’ll help you analyze and navigate your site’s overall health and performance while also providing specific, personalized recommendations for improvement. Think of your SEO audit as a helpful map to help you see how Google and users find and take in your website online. Like what you hear? Learn more and schedule your audit now, because FACT: SEO is NOT a total waste of time. We mustn’t let the SEO myths win! Pay it forward and the set the record straight with your fellow bloggers or business owners. SEO isn’t a first class ticket to the first page of Google and it can’t magically take your C- site to an A+ overnight. These things take time and it’s crucial to remember Google is not the smartest person in the room, you ARE! Use your now improved SEO knowledge to break the cycle for these SEO myths and get it right the first time! SEO isn’t going anywhere, but it shouldn’t be scary or intimidating. Simply take a step back and put your detective hat on. Don’t fall for SEO myths or tricks. When done right SEO is an extremely effective and handy tool. Now is the time to kick SEO myths to the curb, roll up your sleeves, and get to work! Featured image via Pixabay. All images licensed for use via Pixabay and Pxhere licensing.